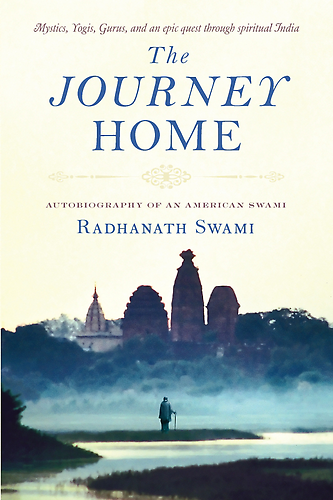 Question to Radhanath Swami: How can we convince ourselves that Krishna is the Supreme Personality of Godhead, that we have to surrender to Krishna? 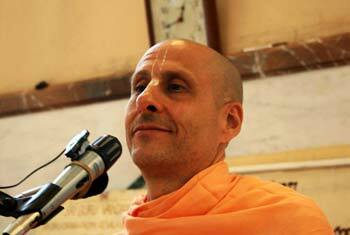 Radhanath Swami: By the right association. If we associate with people who are convinced, we will be convinced. If we associate with people who have doubt, we will be deeply drenched in doubt. So we need to decide what we want in life and associate accordingly. What we associate with we become like. If we put an iron rod in fire, it becomes red and hot like fire. If we put that iron rod in ice, it becomes as cold as ice. Similarly, if we want conviction, we must associate with those who have conviction. If we are associating with people who are not criticizing others but are humbly trying to serve and are attentively trying to develop that conviction, their association will help us tremendously. Also, when we read books of great acharyas (saintly persons), we are associating with them. We need their association to stabilize our own faith. It is very important.